Are there any more Metropolitan Drinking Fountain and Cattle Trough Association cattle troughs in the London Borough of Tower Hamlets? If you know of any other cattle troughs in Tower Hamlets please send me details. 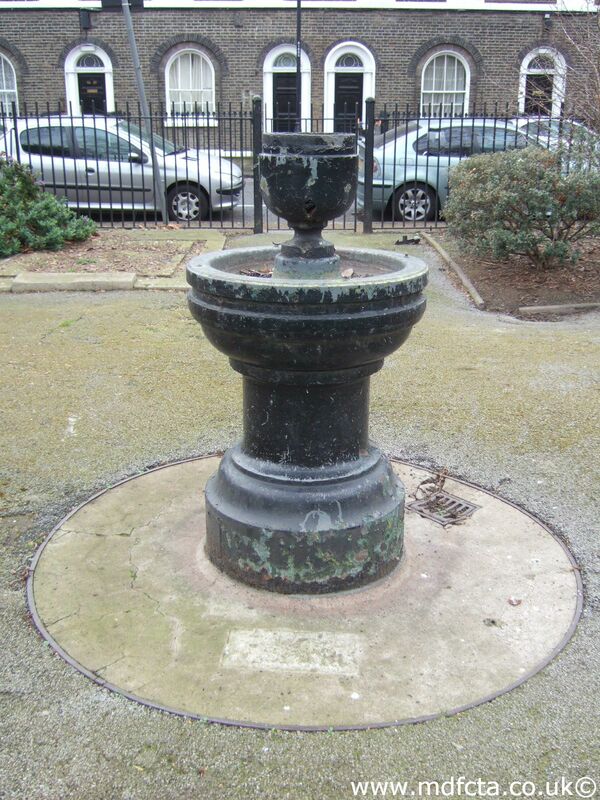 In July 1897 a 9ft 6in trough  was erected in Cambridge Road, Bethnal Green near St. John’s church. This trough may have been removed in 1938. 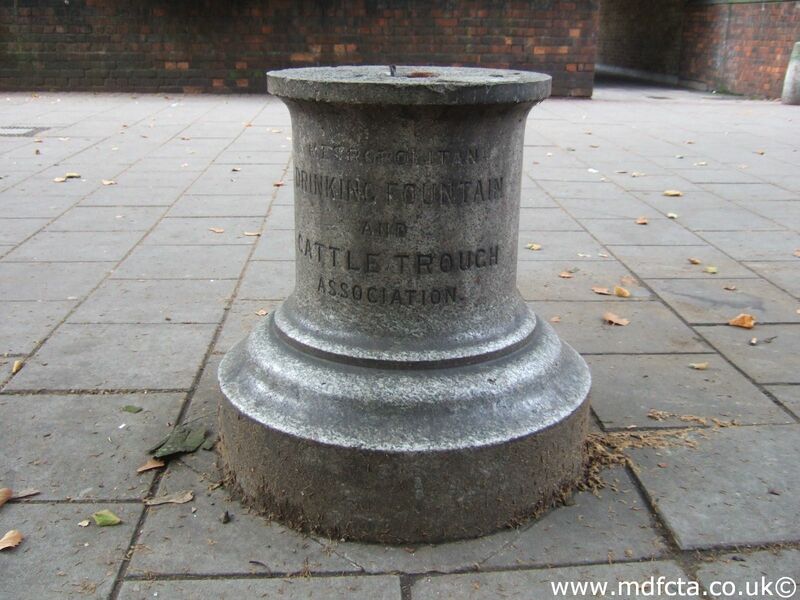 In August 1879 an 18ft trough  was erected in Columbia Market	near Crab Tree Row Hackney. In June 1903 a 9ft 6in trough  was erected at the corner of Old Ford Road and Grove Road. 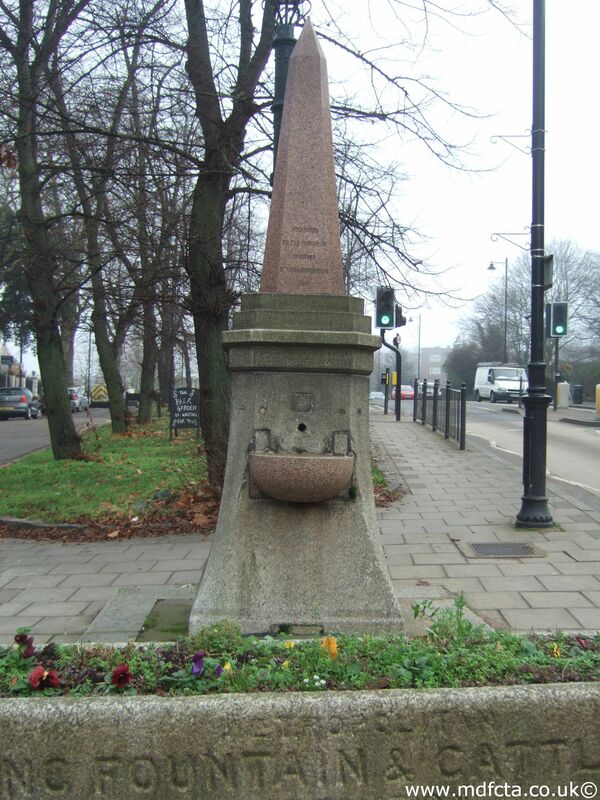 In March 1901 a 9ft 6in trough  was erected at the junction Old Ford Road & Roman Road. The gift of Mrs CF Kirby. In April 1888 a 9ft 6in trough  was erected in Bethnal Green Road by the Railway Wall. The gift of J.H.Buxton. 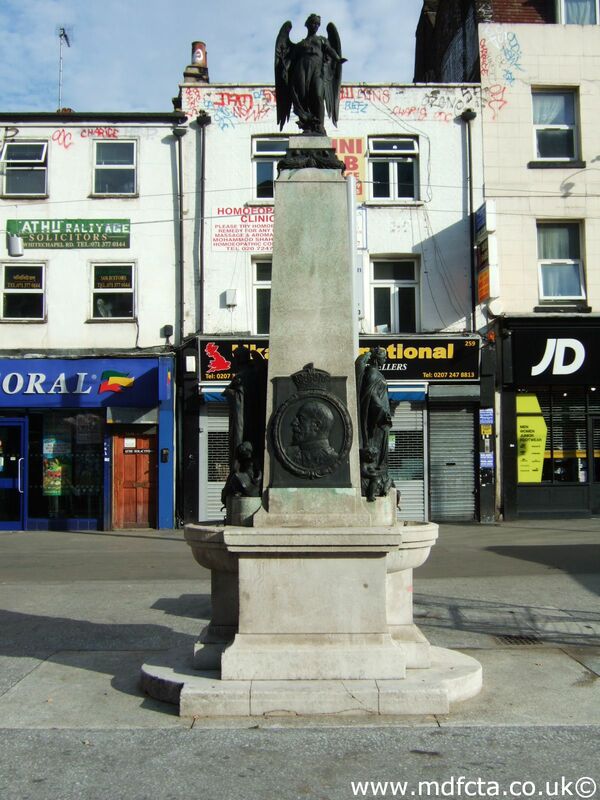 In June 1902 a 9ft 6in trough  was erected Bromley-by-Bow High Street near the current Stroudley Walk. 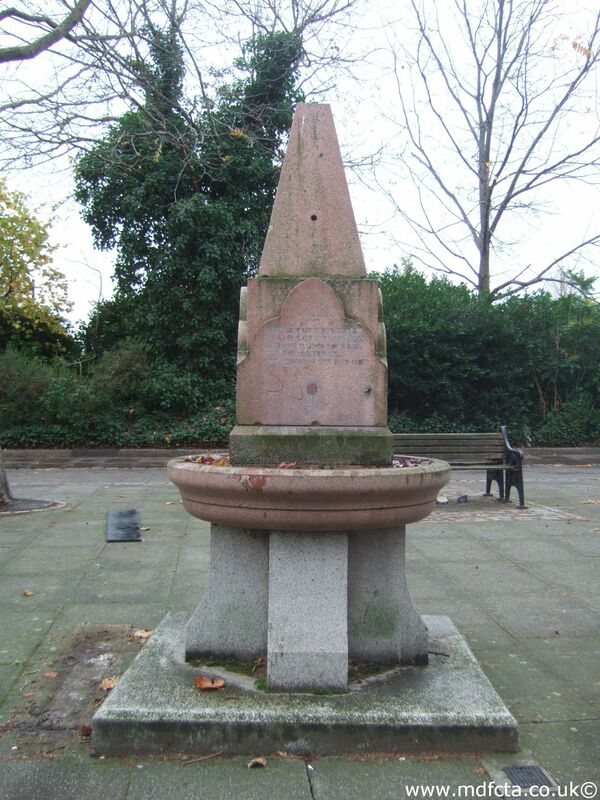 On 9 April 1908 a 9ft 6in trough  was erected in Poplar, Naval Row. This was a Reardon memorial. 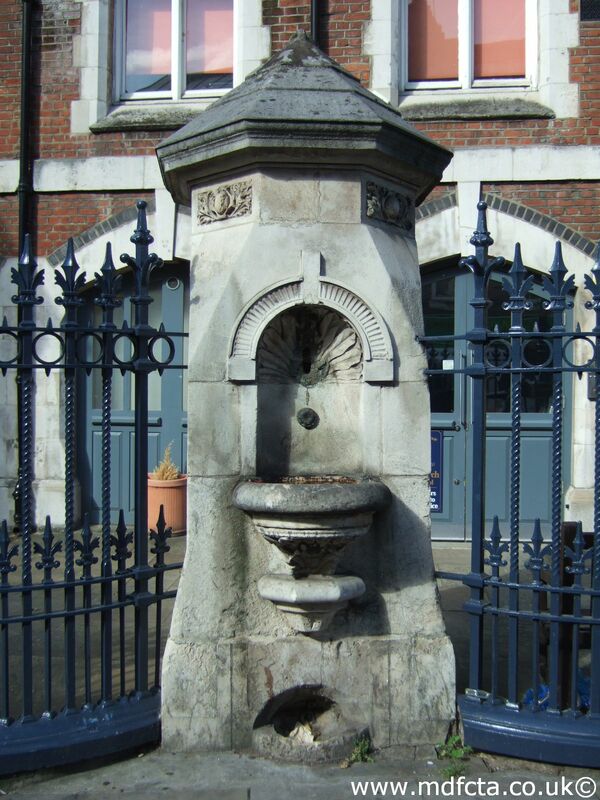 In June 1902 a 9ft 6in trough  was erected in Poplar in Cadogan Terrace opposite St. Mark’s Church. On 28 May 1930 an 18ft trough  was erected in Leman Street, Stepney. 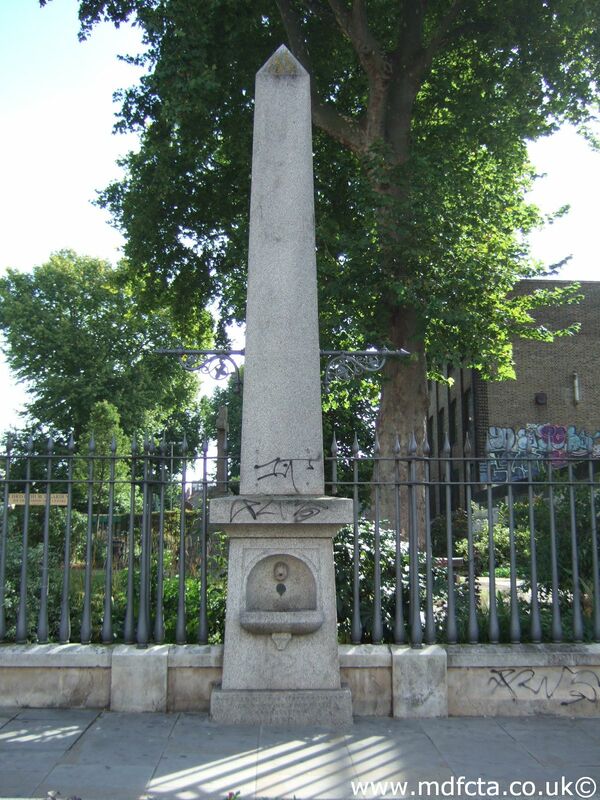 In January 1877 a 9ft 6in trough  was erected near Limehouse church. This may have been removed in 1958. In February 1886 a 9ft 6in trough  was erected in Lowell Street at the north side of Commercial Road. 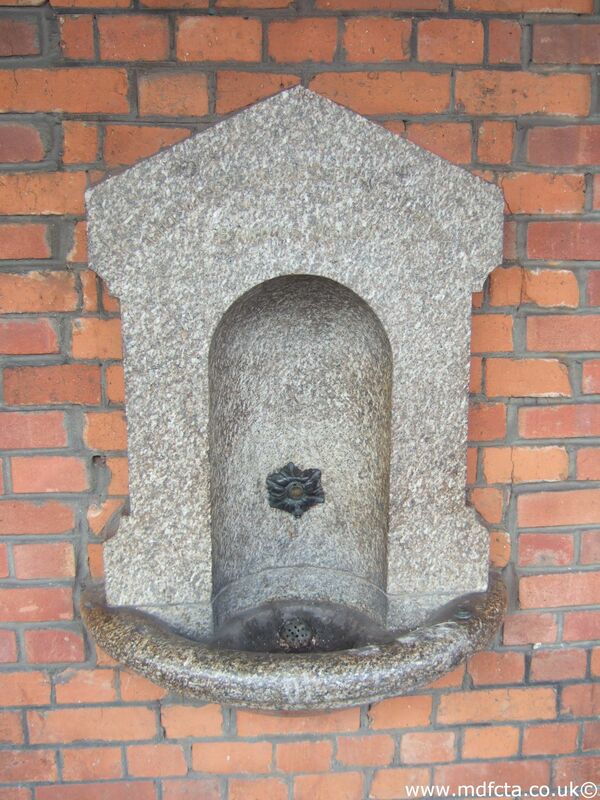 In February 1886 a 9ft 6in trough  was erected in Lowell Street at the south side of Commercial Road. The gift of J.H.Buxton Esq. 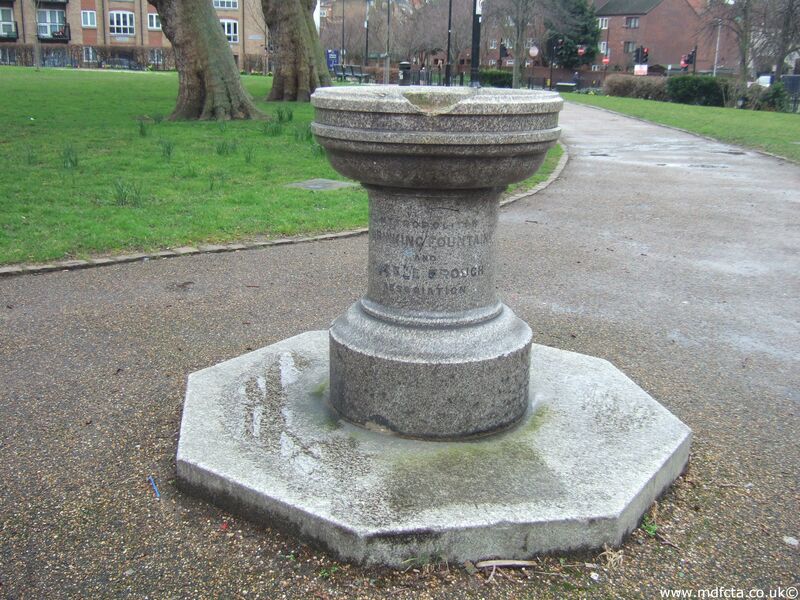 In July 1890 a 9ft 6in trough  was erected in Mile End Road at the corner of Eagle Place. 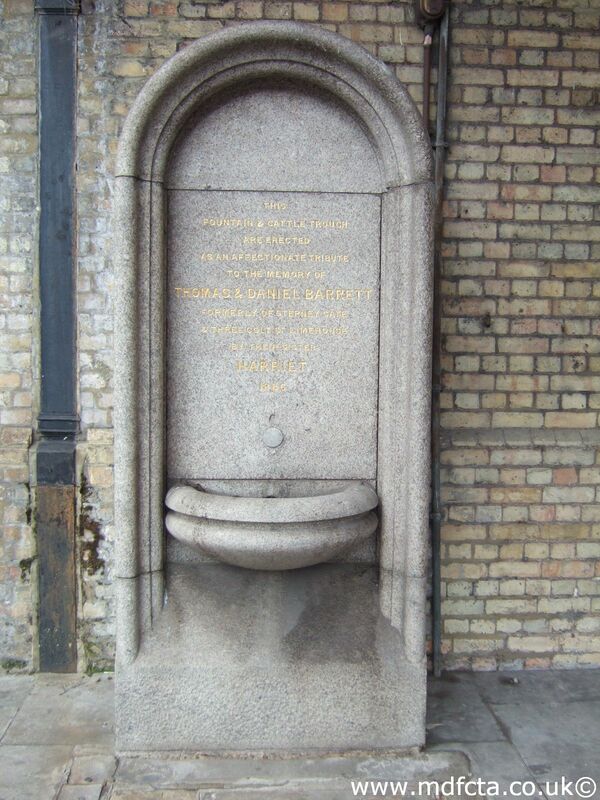 On 31 May 1938 a 9ft 6in trough  was erected in Stepney inside Charringtons Brewery. In March 1881 a 9ft 6in trough  was erected in Rhodeswell Road, Stepney outside the Edinburgh Castle pub. 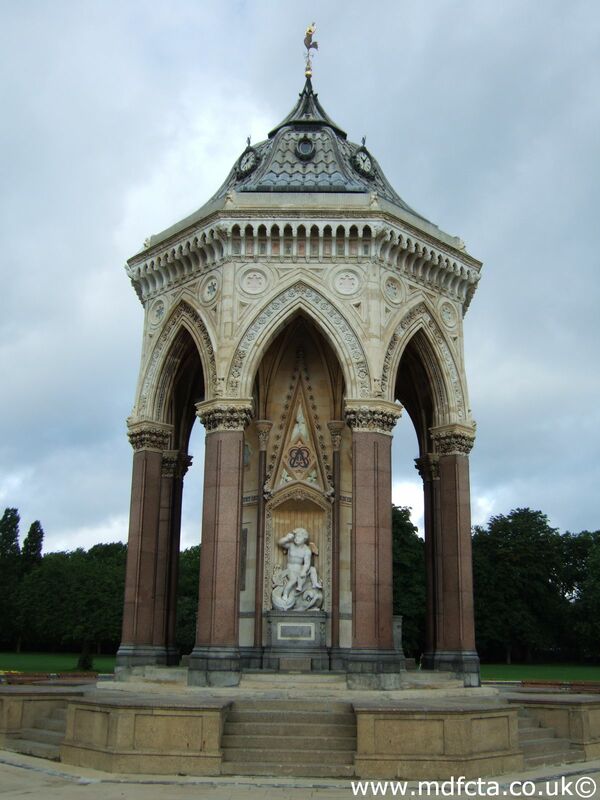 In March 1880 a 9ft 6in trough  was erected on the corner of Commercial Road and Jubilee Street. The gift of Mr. R. Trotter. On 18 December 1934 an 18ft trough  was erected at Trinity Square, Tower Hill. 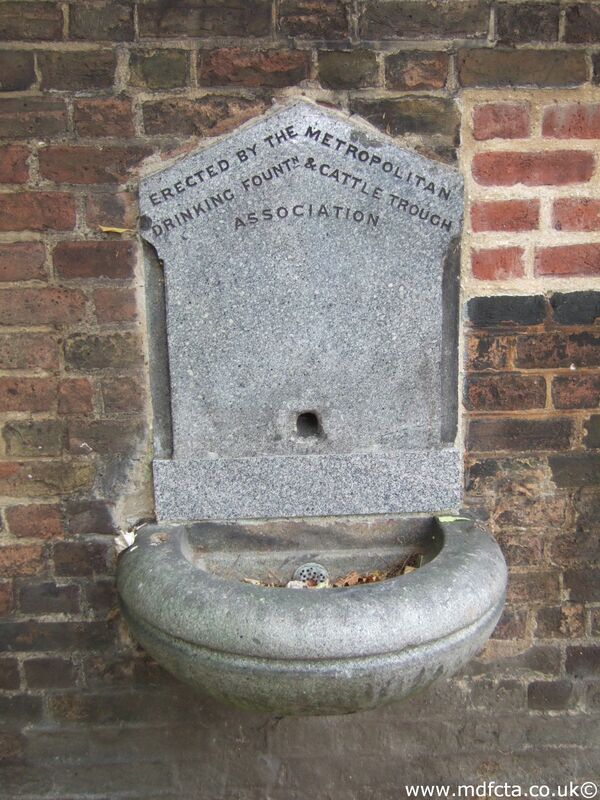 Are there any more Metropolitan Drinking Fountain and Cattle Trough Association drinking fountains in the London Borough of Tower Hamlets? 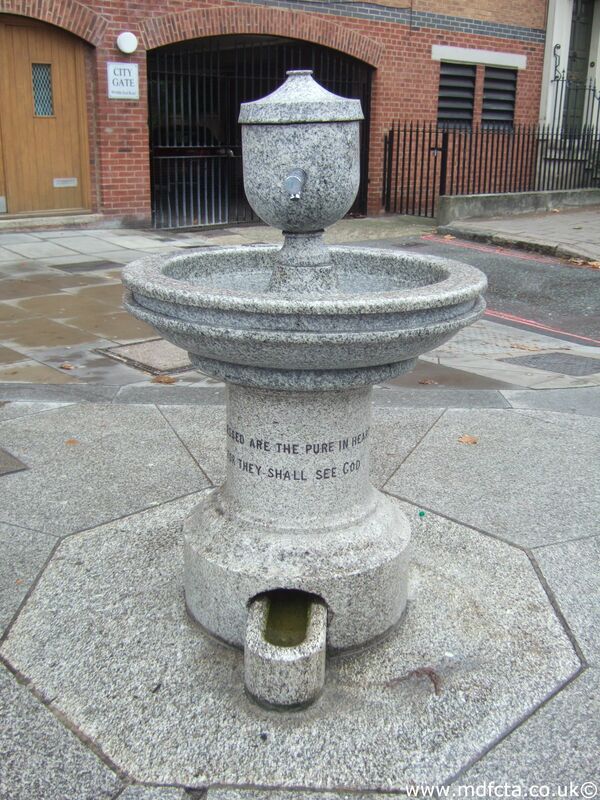 If you know of any other drinking fountains in Tower Hamlets please send me details.